Every Bride Needs Decent Makeup! Home > Every Bride Needs Decent Makeup! Most girls have been planning their wedding day since they played with Ken and Barbie. It’s the best day of our lives. We spend years planning and dreaming and then when the real day comes along there aren’t enough google searches or magazines for us to look at. We plan every detail. The day has to be perfect right? Well for most of us it was/is anyway. The main thing is we want to look our best on this day, we want to look perfect. So much goes into choosing the right dress, the right accessories, the right hair style and shoes, and of course, makeup to make us look amazing. To bring out our best features and make us look stunning. 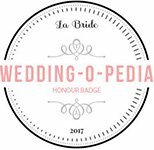 A good idea is to book a wedding trial with Serenity, there you can discus looks and everything. Serenity can offer her opinions and talk you through ideas and styles. It’s important to book serenity as soon as possible as she is in high demand. Serenity prides herself on leaving each woman looking their best, looking absolutely stunning. She is reliable and professional. Call her today and tick makeup off your list. 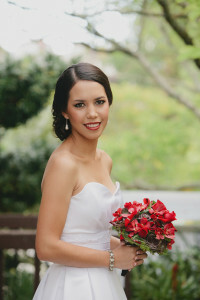 Previous Previous post: Looking for a bridal makeup artist around Auckland? Next Next post: Looking For Mobile Hairdressing Services?